Many of the same plants that work well for privacy screens and hedges also work very well as a buffer against street noise. In fact, living plant material is often better than a fence for this purpose, since plants have a softer texture than absorbs and diffuses sound better than the rigid materials of a fence. Evergreen plants, such as conifer shrubs, are excellent for this purpose, since they hold their foliage year-round. Many other shrubs and small trees also work well for this purpose, including bamboo. Living bamboo can be an excellent choice, both as a noise barrier and as a privacy screen. The ideal way to buffer street sounds is to interpose a mass of sound-absorbent material between your home and the street. A bamboo privacy hedge can form just such a mass, because its canes grow together so densely, by nature. It also offers the benefit of doing the job very quickly, since no other hedgerow plant grows as quickly as bamboo. And because the plants grow so densely, bamboo is almost as good as a solid fence as a privacy screen. A word of warning, though: when you buy plants for your bamboo privacy hedge, make sure the plants are labeled as "clumping" bamboos, as opposed to "running" bamboos. The latter give bamboo a bad name, due to their proclivity for spreading out of control. 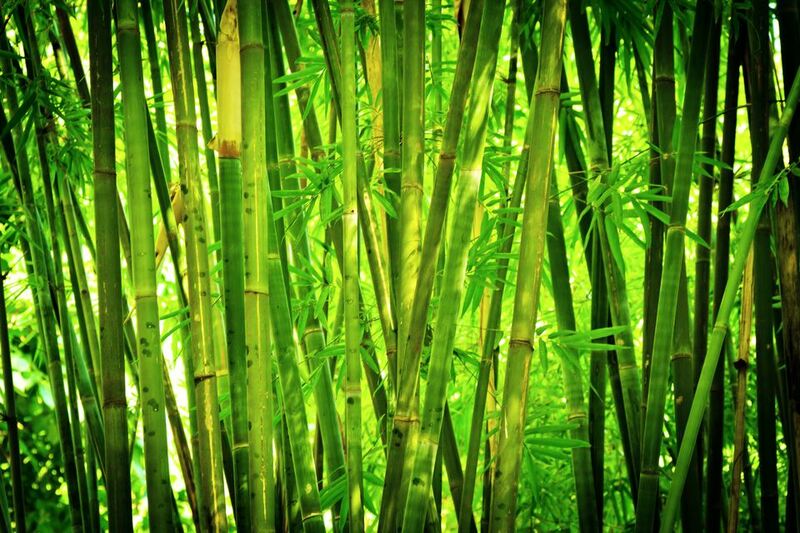 Running bamboo is considered an invasive plant in many parts of the country. One cold-hardy clumping bamboo that works well both as a privacy screen and noise buffer is Fargesia rufa , one of several species that is lumped under the common name of hardy bamboo. This plant is hardy as far north as USDA zone 5 and is a fast grower that tolerates more sun than most of the other cold-hardy clumping varieties (although some afternoon shade is still advised during the heat of the summer). Space the plants about 5 feet apart to form the hedge. They’ll quickly reach 8 to 10 feet in height. In cooler climates, mulch the root zone in winter. Another hardy clumping bamboo is Asian Wonder (Fargesia scabrida). It has narrow leaves with orange culm sheaths and steel-blue stems that become olive green as the plant matures. It is a good choice for USDA hardiness zones 5 to 8. For warmer climates, Fargesia robusta (or ‘Pingwu’) is an upright bamboo with a clumping habit that is better in the hot, humid conditions of the Southeastern U.S. It does well in USDA hardiness zones 6 to 9.